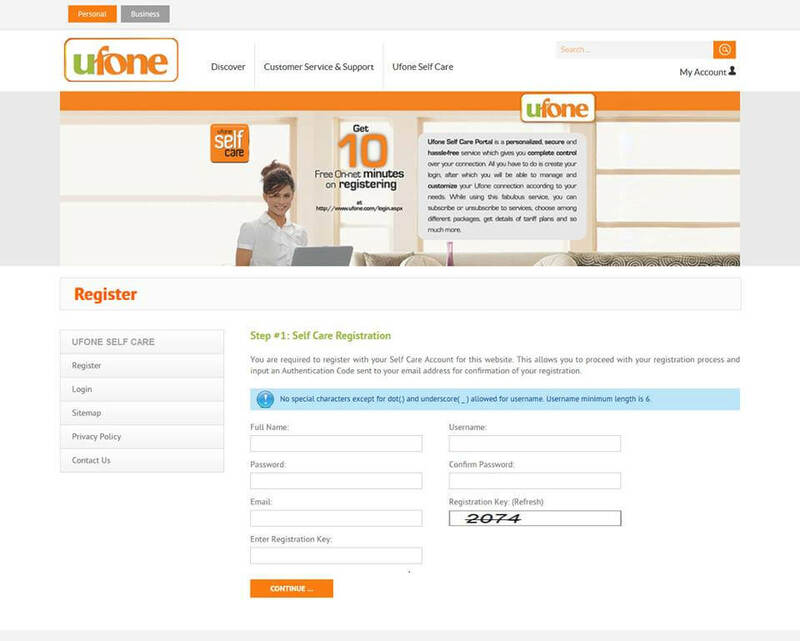 UFONE presents a really efficient service for his valued customers of Pakistan. This telecommunications provides online facility for his customers to get all the details, call records and further different types of services to all the users of Pakistan. 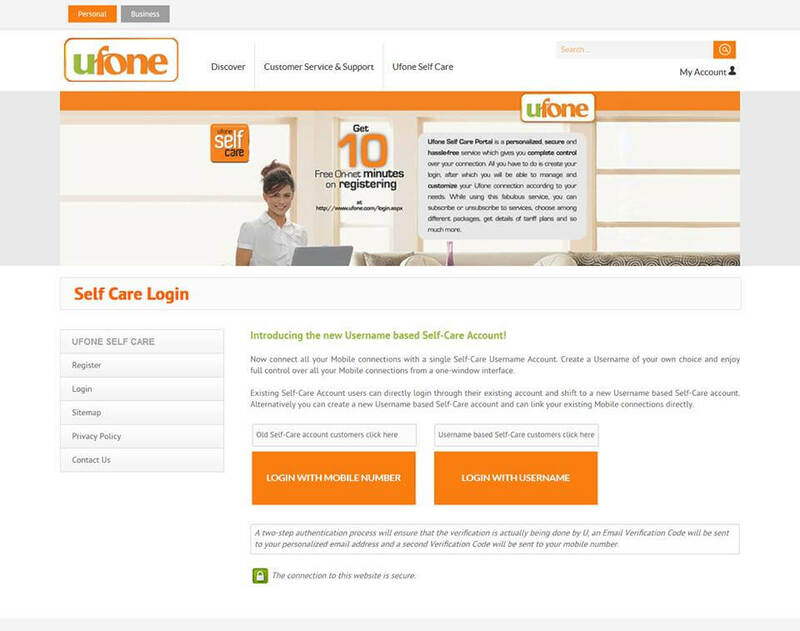 UFONE Self Care is the brilliant online facility has given from this telecommunication side. This is beyond on imagination from customers thoughts users can do multiple task from this, they can easily check all the mobiles records and details, they can check multiple packages offer of this telecommunication, it can be use for different things to do on daily basis. Customers can get complete authority and power over on customization of this feature without any issue and they can use this to get phone records and check all the phone history of your SIM card. This service doesn’t provide only call history of same packages but users can get all calling records of other local networks, PTCL and V-Fone. The UFONE Sign in charges are free for the valued customers of this telecommunication. Users can get all the histories of balance and also charges of balance and other taxes deductions details by using this facility. We can say this complete online account offer from this telecommunication side for his valued consumers who connect with them all over in Pakistan. Then you will find Register option left side. Press Register tab and the next page will be opened. You will see various tabs like Full Name, User Name, Password, Email and Registration key. You have to fill it with valid details of yours and also enter registration key. You will receive Code on your mobile for the confirmation of registration. You will also receive Email on your given Email ID and you can click on mention link for the confirmation registration. Your UFONE self-care account has registered congratulations. Now can enjoy various facilities by using this feature. This feature provides two options to signing in for users. Users can log in through mobile number or user name. The charges of this service are free but customers want UFONE info service so the charges will be RS 2 plus tax for 9 SMS alerts news on a day. If customers wants to get latest info service details through SMS alerts more than 9 messages so the charges will be RS 3 plus tax.